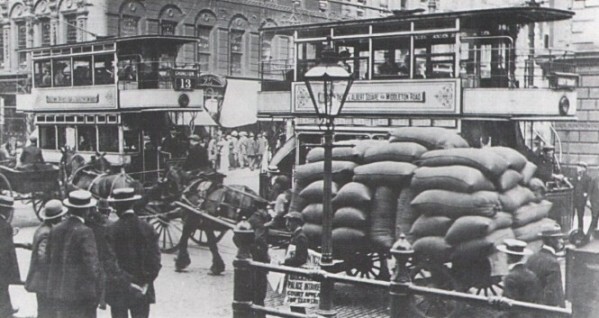 Manchester 173 is a 4-wheel double deck tram built by Brush in 1901. Originally open top, it was later rebuilt with a top cover. 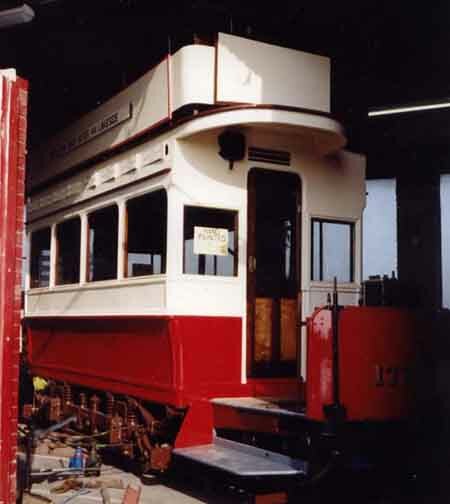 173 remained in service until 1931. 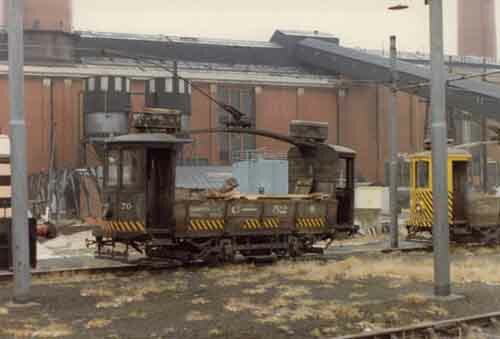 Following its withdrawal, it saw further use as a garden shed. On 17th December 2013, 173 transferred to Heaton Park. 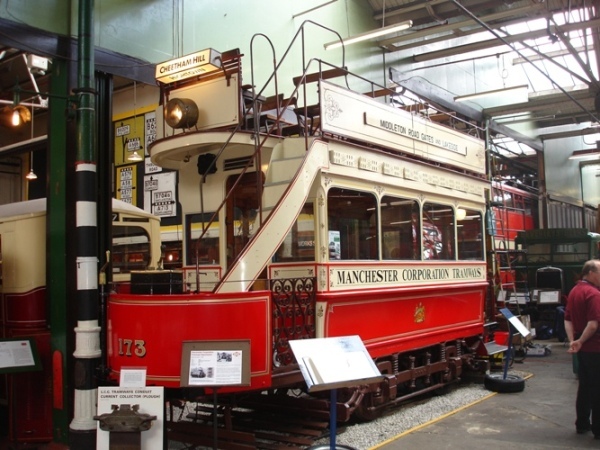 © Manchester Transport Museum Society 2008 – 2019. The MTMS is a registered charity, no 505601.